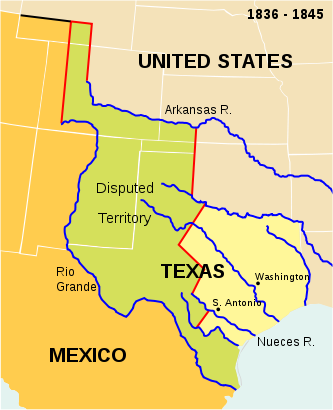 On April 25, 1846, a 2,000-strong Mexican cavalry detachment attacked a 63-man U.S. patrol that had been sent into the contested territory north of the Rio Grande and south of the Nueces River. The Mexican cavalry routed the patrol, killing 11 U.S. soldiers in what later became known as the Thornton Affair after the U.S. officer who was in command. A few survivors were returned to Fort Brown by the Mexicans, including wounded sent in an ambulance. 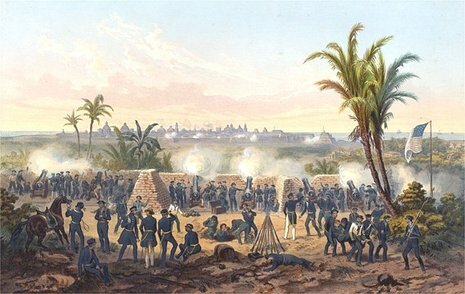 The Thornton Affair, also known as the Thornton Skirmish, was an incident between the military forces of the United States and Mexico. It served as the primary justification for U.S. President James K. Polk's declaration of war against Mexico in 1846, sparking the Mexican-American War. Now days, the affair is vastly overlooked, with most people considering the Battle of Palo Alto as the first engagement in the war.